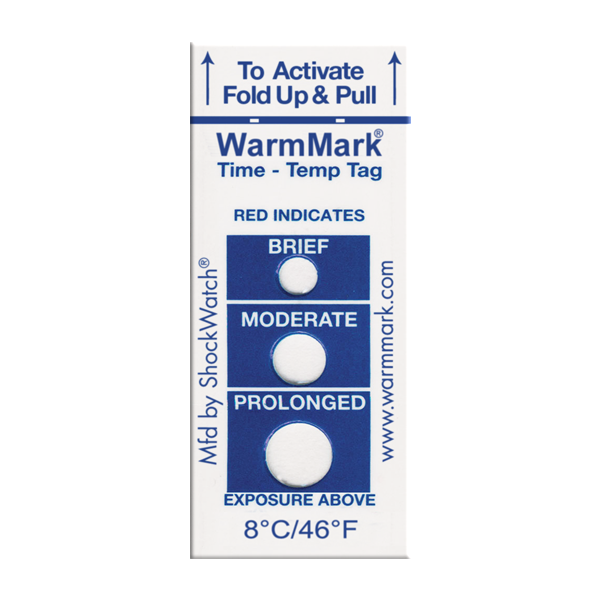 WarmMark is a single-use, ascending time-temperature indicator which alerts users of exposure to unacceptable temperature conditions. 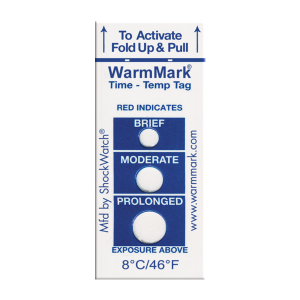 It is available in a variety of sensitivities and provides a simple and cost effective means of signalling that the product has been exposed to an unacceptable temperature. 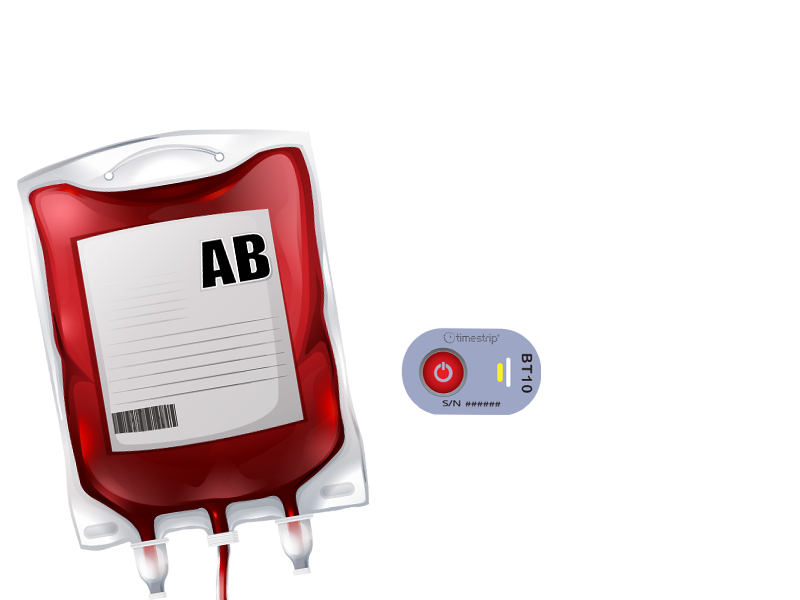 Why use a Temperature Indicator? Wireless Temperature monitors, indicators and recorders introduce accountability measures into the shipping and handling stages of the temperature sensitive cold chain. By providing prominent visual notification to shipping personnel of the presence of monitoring equipment, indicators and recorders encourage proper handling and transport of temperature sensitive products. In the event that a temperature excursion occurs, indicators and recorders give you the data needed to improve the integrity of the cold chain. Temperature monitoring and measuring devices play a vital role in identifying temperature-related events, and empower you to take meaningful action to reduce the likelihood of product damage.